Sony will be giving Japanese PS Plus subscribers access to 250 PSP games that they'll be able to download and play on their Vitas. 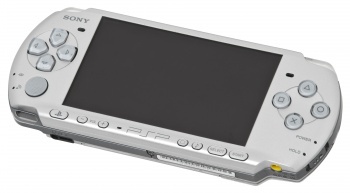 It's kind of funny to look back on the PSP and remember the years that many people spent declaring that it was doomed. It may never sold as well as Nintendo's DS, but it still managed to sell more than 76 million units by the time it was discontinued. No matter how you stretch it, those aren't bad numbers. In the least, they're a far sight better than the Vita's, which after three years on the market has only just recently broken 10 million units sold worldwide. Perhaps, in turn, hoping to tap into some of the PSP's success, Sony has just recently announced that it will be giving Japanese PS Plus subscribers free access to a whopping 250 PSP games that they'll be able to download and play on their Vitas. The company didn't specify exactly which games this offer would include, but then again the Japanese PlayStation Store currently only includes 370 PSP titles any ways. It would probably just suffice to say "most of them." What remains to be seen, of course, is whether or not this deal will leave Japan and make it over to Europe and North America. If it does, it could arguably bring a lot more value to the Vita. Just personally, I loved the PSP and if I didn't already own a Vita this would definitely push me a few notches closer to finally picking one up. In other words you'd do well to be crossing your fingers for a similar announcement from Sony's western branches. While there aren't a ton of PSP titles I'd be outright interested in playing (and I really don't know how many of those would make it to a free selection) I would still love to see this make it to North America. It would be an excellent value add plus having a price tag of Free would certainly make me more eager to try titles I wouldn't have otherwise tried. This'd be pretty awesome if it came state side, but I kind of doubt it will. Looks like this only applies to games that you own a UMD copy of. How would that be checked? Can't exactly go off of save data. I love the PSP i have had 2 in the past. Loved the games loved the little guy. Now the VITA is just amazing and its a shame its not as successfull i really thought when i got mym VITA that it will be the one to become mainstream and just be everywhere. Hopefully this little deal will push it more in people`s line of sight. *taps foot and gives a stern look* So...when can the rest of us Plus subscribers expect to get this, hmmm? What makes you think it would work any differently than the current list of free games available to PS Plus subscribers? It even says in the source article that they are free to download and use for as long as you have access to a PS Plus subscription, which is exactly how the free games on PS Plus network currently work. http://www.jp.playstation.com/psvita/special/compatibility/umd/. This is a link taken directly from the Japanese press release which has a helpful diagram showing how it works. This has nothing to do with the article at hand, nor does it mention PS Plus. This is an incentive for those of us who own UMD games to transfer it to our new systems at a lower cost.